So I'm at the mall buying crap with my wife. She knows I'm going to stop in the toy/gaming/comic book shop if I go with her to the clothes stores. I know she tries to keep me from there because I'm impulsive and always go for the most expensive thing. Anyway once I'm inside I see this guy and I was all in. I love the Ghostbusters and Egon in particular so 25 dollars (plus tax) and he's mine. Egon Spengler, played by the late Harold Ramis, is part of the Diamond Select Series 2 figures along with Dana Barrett and Peter Venkman. So let's get all the greatness out of the way first. 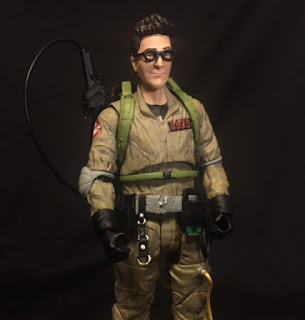 Egon looks very good, maybe not quite as good as the Terminator I bought earlier, but very good. His uniform and all his equipment look perfect. He comes with three bare hand sets in various poses and two sets of gloved hands. 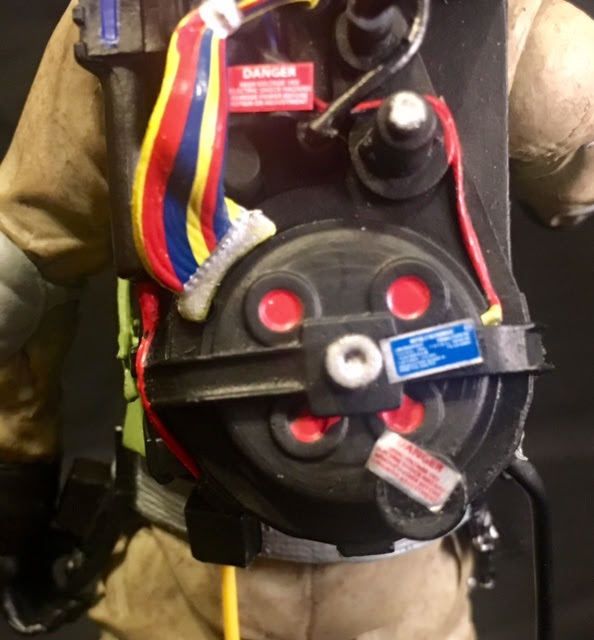 He also comes with a proton stream that can be attached to his proton pack as well as a radio and P.K.E. meter. These toys can either be bought at regular department stores like Toys R Us or bought from comic shops. 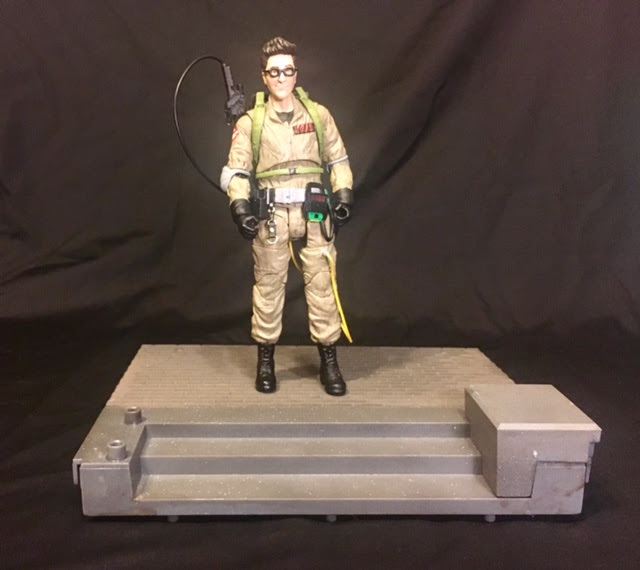 The comic shop figures are a little different because they come with pieces of the rooftop from the end of Ghostbusters. If you buy all 12 pieces and put them together you get a huge rooftop display. The piece that came with Egon was bigger than him. 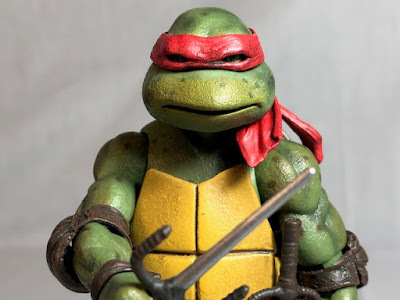 I love this guy and would have killed to have him when I was a kid but even looking through kids eyes I can see that there are a few problems. First off it is beyond difficult to connect his wand to the proton back. 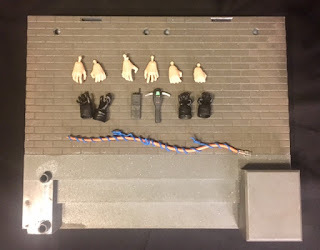 It's a simple looking system but either it just doesn't work or I'm too stupid to figure it out. Also, I had a hard time keeping him standing up. It's not as bad as attaching the wand but I still had difficulty. My other biggest gripe is the stickers and paint. The stickers attached to the back of the proton pack are just amateur at best and it really got under my skin. 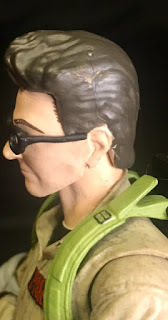 Also look at his hair, behind the ear isn't painted all the way and there are sections of his hair that is missing paint. I can't unsee the missing paint spots. If all of these problems were fixed I would be very happy with him. 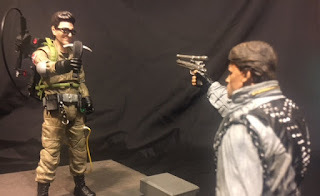 I'm going to buy other figures hoping that I had one of the Monday Egons. 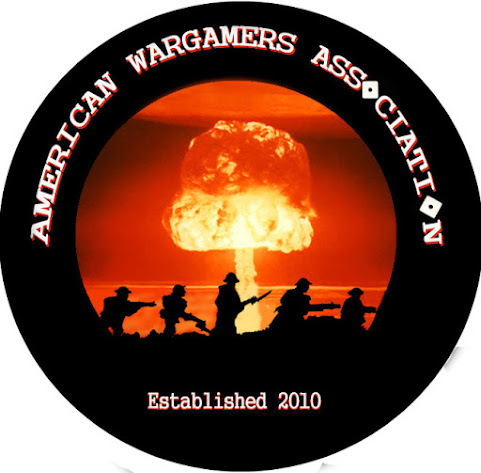 The only question now is who will win a battle against the Terminator.